Amendments to the US Constitution have generally been of three types: expansion of citizen protections from government interference with their lives, providing greater participation in the process of government or technical government organization. Only the Eighteenth Amendment acted as a restriction on freedom and it has been the only amendment repealed. The Bill of Rights set specific limits on federal government power and defined procedures to protect natural rights. The Fifteenth, Nineteenth, Twenty-Third and Twenty-Sixth all expanded voting rights. The Twelfth, Twentieth, Twenty-Second and Twenty-Fifth made technical changes in the government. The Eighteenth prohibited alcoholic beverages. It was different and unsuccessful. Americans continue to live with the unintended consequences of the Eighteenth Amendment today. From the Founding, the United States was divided over the issue of slavery. It took The Civil War between the Slave and Free states to resolve that issue. Another division between the states started in 1851 when Maine banned alcoholic beverages. This would become the division between the Wet and Dry states. Though Georgia had banned alcohol in 1735, that experiment was abandoned in 1742. With the Maine ban in 1851, a century old movement gained traction and by 1855 twelve other states had also banned alcoholic beverages. States that had banned alcohol became known as “dry” States. States allowing the manufacture, sale and consumption of alcohol became known as “wet” States. The Civil War interrupted the efforts to ban alcohol, but afterward groups like the National Prohibition Party, Women’s Christian Temperance Union (WCTU) and Anti-Saloon League, gained strength. The Temperance Movement promoted regulations upon alcohol from sales limitations to total bans. In 1890 the National Prohibition Party elected its first member of Congress. By 1920, 33 of the then 48 States had become dry. Dry States not only banned the manufacture of alcohol, but also its importation into Dry State territory. Decisions of the United States Supreme Court, such as Bowman v. Chicago & Northwestern Railway Co. in 1888 found many of these laws unconstitutional as restrictions on interstate commerce. For the leaders of the Temperance Movement, the answer to overcome adverse Supreme Court decisions was to amend the Constitution. Political action ensued and when the 65th Congress convened in March, 1917, the number of congressmen subscribing to the policies of the dry states stood at 278 and the number supporting the policies of the wet states shrank to 126. The time was right to send a constitutional amendment to the States. There were 48 States at that time and ratification required approval by 36 States. On January 16, 1919, the number 36 was reached with the ratifications of Nebraska, North Carolina, Utah, Missouri and Wyoming. One year later, by the terms of Section 1, the Eighteenth Amendment became effective. In 1900 no national police force existed. Prior to Prohibition there were few federal crimes on the books. In 1908, the Department of Justice added its first ten special agents, establishing the Bureau of Investigation. When the Bureau was established, there were few federal crimes. The Bureau of Investigation primarily investigated violations of laws involving national banking, bankruptcy, naturalization, antitrust, peonage, and land fraud. 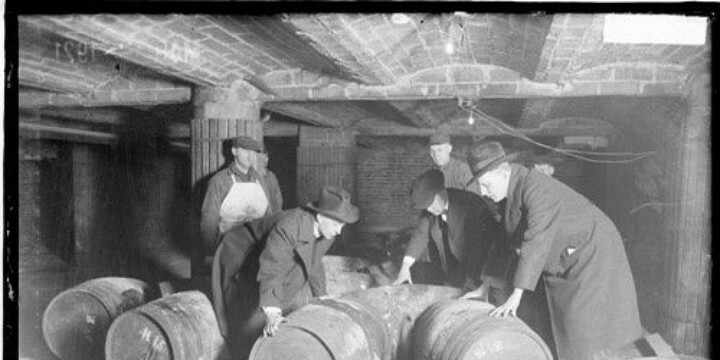 By 1920, there were 1,520 Federal Prohibition Agents to enforce The Volstead Act. By 2008, the number of federal law enforcement agents authorized to carry weapons and make arrests had grown to over 120,000. The effects of Prohibition had largely been unanticipated. 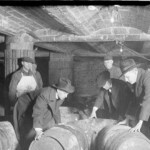 Americans flouted the law and organized crime gained a significant foothold in the United States by finding ways to sate the American taste for alcohol. Americans who were otherwise law abiding found ways to avoid the law and ultimately it became unenforceable. In 1933, the Eighteenth Amendment became the only constitutional amendment to be explicitly repealed by the adoption of the Twenty-First Amendment. The failed experiment at restricting freedom resulted in widespread lawlessness. In response to the lawlessness a previously non-existent federal police presence appeared and has grown. While the Eighteenth Amendment was repealed, the result of criminalizing alcohol continues to be felt in the successor criminal organizations and the presence of national police in American life. The Eleventh Amendment was the first amendment ratified for the purpose of altering a Supreme Court decision, much as the Sixteenth Amendment overturned Supreme Court rulings against income taxes. There had been a limited number of Secret Service agents with the Treasury Department, charged primarily with financial and counterfeiting investigations. Law enforcement, in keeping with the concepts of federalism had largely been a local matter, and the thought that the federal government had a general “police power” was inconsistent with the Founding principles. This would become the Federal Bureau of Investigation (FBI). On October 28, 1919, Congress overrode President Wilson’s veto and passed the Volstead Act, prohibiting the manufacture, sale or importation of intoxicating beverages containing an alcohol content of greater than .5%.